Having a blog and delivering quality content is not enough to attract traffic. We are visual, we are more ready to take action when we see visual information. It’s not enough to create a long and useful blog post if you cannot attract the audience. The little secret here is to add images to your content, and I can guide on how to grow your blog with Pinterest. 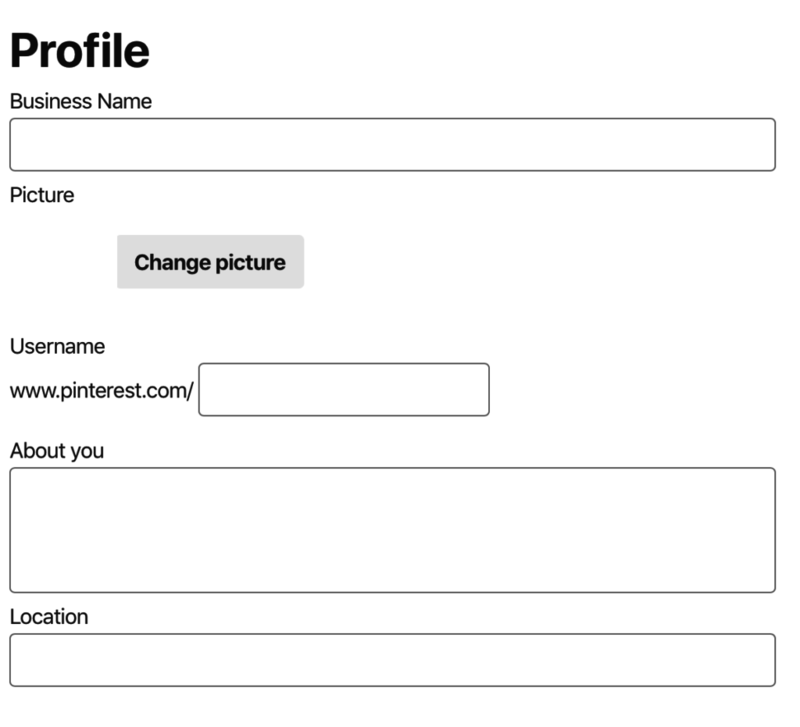 On a short search, Pinterest is a social media web and application, a FREE website which requires registration. The main purpose is to upload, edit and save your images and other kinds of contents using collections, known as ‘boards’. OK, maybe you will say that there are many other platforms and tools to store, save and manage images, why do I need Pinterest? I’m glad if you have this question in your mind. You find a picture which you like, and then you pin it to Pinterest. The pictures are clickable, and they will open on the new page or tab of the original web source (your website maybe), and this means traffic to your website. Pinterest is also a social network, the users can like, comment, sending private messages to each other. Pinterest is becoming very popular when about social media networks. Quite recently I was reading an article about Pinterest that it’s the most accessed app taking the lead on the list and sending another giant on the second place. While it is simple, it leads quickly to growth. Your pins and board will get ranked by the search engines, other users will save and share your pins which will lead to more search results. What I will teach you today is how to use Pinterest in your daily activities because it’s a great source of traffic. There are 5 simple steps to fulfill your goals. The first step is to create a FREE Pinterest account. You have two options to choose from: log in with your Google account or Facebook account. If you don’t have any such account, simply sign up with an email address and a password. Keep in mind your primary goal: to drive traffic to your website, I advise you to create a business account. If you decide to create the account using Google or Facebook, use the business accounts associated. 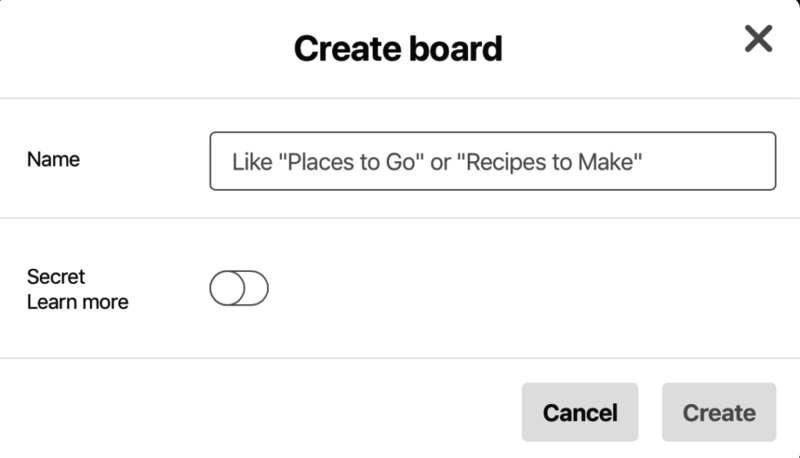 You have to fill in information regarding your name, age, gender, language, and location, also select five categories to follow so that Pinterest will show personalised pins based on this information. Another recommendation is to follow the topics/categories related to your business. Configuring your interests will help Pinterest to display the content of the people you follow on your Home page. As a new account, your Home Page will look a bit dull, but no worries, with time, will become better. On the Home page, you will find information about your latest pins, boards and latest pins of the people you follow. You have to edit your business name, add a picture which it should be your logo, a Pinterest username (let’s hope that the username is not already taken), write about your business, a short description about who you are and what you do. Try to add some keywords in your description, the search engines will find your pins and get ranked. There also the location field which is optional. Verify your website, why would you do that? Doing so, Pinterest will recognize your website and give analytics of your content. Type your website URL and before hitting the ‘Confirm’ button, just copy the provided tag. Don’t close the window, just move to your website Dashboard and select the SEO plugin which you use; under the SEO tab select the Pinterest and paste the code provided by Pinterest. It’s easier to use a plugin instead of paying someone to do this for you. I personally use Yoast SEO and All In One SEO plugins, not both on the same website. The process takes 24 hours, and you will receive an email about the website verification. When the process is done, you will notice in your Pinterest account the website confirmation. By now, you have finished the account set up and got familiar with Pinterest. Now, let’s do some fun stuff, let’s create your first pin. Just select the Pin tab and click on the big red plus sign. Add a title and don’t forget to use significant keywords, add a short description, add the URL the pin will link to, choose a board and add an image. You can select to publish immediately or publish at a later date. The boards’ creation is much simpler, just select the Board tab and click on the big red plus sign. Add a name and you are done when you hit the ‘Create’ button. You may ask why I talked about these things and nothing about traffic. Before getting there, the steps just described are necessary. Now let’s talk about traffic. This is the most important step in driving traffic to your website which will boost your pins reach and engagement. The Rich Pins are a way of Pinterest saying that it trusts and recognizes you. So, why not using it? It’s a FREE product for all Pinterest users. For this, you need to set meta tags on your website. 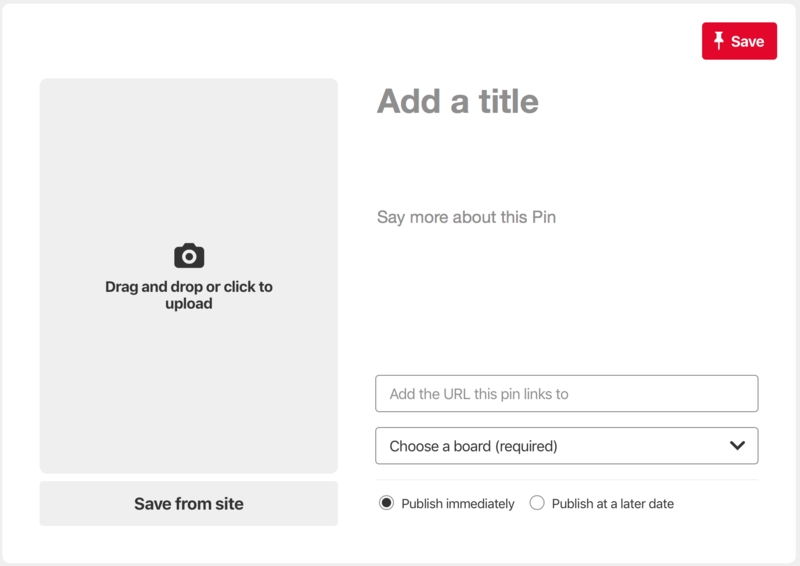 Rich Pins add extra details to pins, and when you do an update in your website, the Rich Pins updates the change. In conclusion, the information will remain accurate. 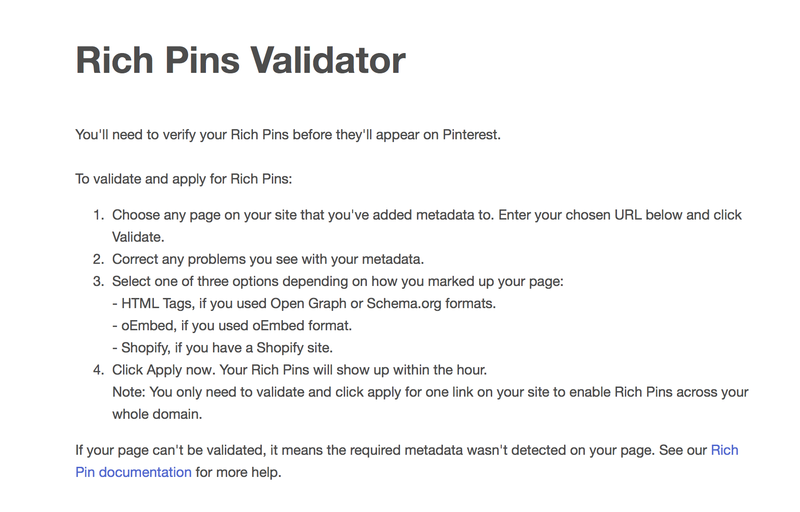 Access the Rich Pin Validator tool and follow the steps, they are pretty straight forward. Paste any article URL into the validator and hit ‘Validate’ button. A notification informing that your pin was validated should be displayed. The last step is to apply to enable your rich pins. How you do this? Select the ‘HTML Tags’ option and hit the ‘Apply now’ button. A ‘Thank you’ notification will inform you that Pinterest will review your application and you will get the decision by email. The process takes up to 24 hours. After the approval, you will identify the Rich Pins by the extra information displayed above and below the image on closeup and the bold title in the grid. After the Rich Pins approval on one my websites, I noticed an increased of 359 users/day, WOW. One of my pins reached the 7.9k impressions, 101 close-ups, 6 saves, and 12 clicks, in just one day. We communicate and respond differently to the same action. It’s the same with images. In Pinterest, you communicate by pining. Pin from your website or landing pages, communicate and interact with those reaching you. Like in real life, the relationship is the key to networking, the more pins and comments you create, the more people will bring in. Pinterest is becoming one of the bloggers and website owners favorite social media channels. In the FREE website just create an account, and you are good to go staring your business. With easy steps in creating pins and boards, the search engines will notice you. To lead people to your website just use the FREE tools, Rich Pins in our case. Rich Pins will keep your information accurate when changes applied to your website. Just remember, I personally saw an increase of 359 users in only one day and for FREE. Why not are you the next one hitting a new user engagement? Pinterest is all about images. If I would have created this article without images, would have been equally convincing? Are you using Rich Pins? Happy to hear your thoughts? Of course, just send me your COMMENT.